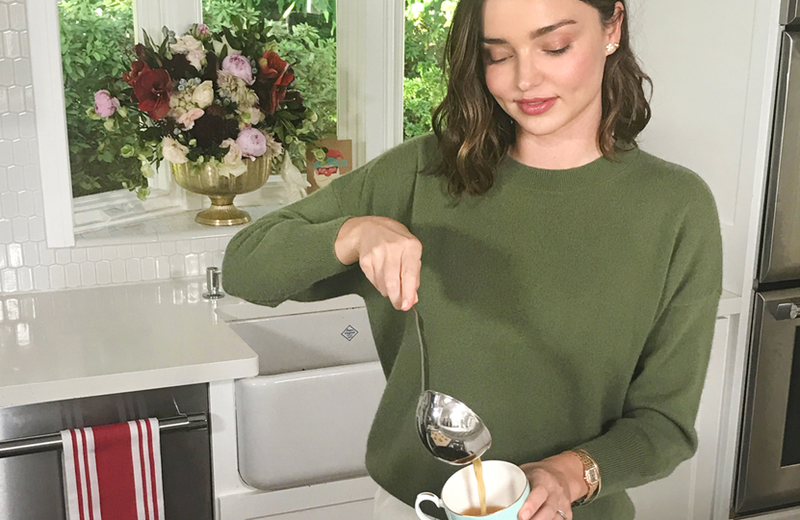 Miranda recently shared some of her favorite holiday recipes & tips for staying healthy during the holiday season with Royal Albert. Check out Miranda’s recipe for Hot Apple Cider below. Juice apples and place completed juice in a medium-sized saucepan. Add cloves, cinnamon sticks, cardamom, anise, ginger and lemon zest. Cover and heat on low-medium heat for 20 minutes. The mixture doesn’t need to boil, just warm it warm to around 170F, or so. Add orange slices during the last 5 minutes. Remove from heat and strain to remove spices and fruits.